Your dog can’t tell you when it’s sick. Your duty as it’s best friend is to keep an eye out for symptoms or abnormal behaviors. One particularly sneaky disease to look out for is called Cushing’s disease—also referred to as hyperadrenocorticism. It is a disorder of the adrenal glands in which excessive adrenal hormones, mainly cortisol, are produced. What does that mean? Well, your dog produces these hormones at glands called adrenals and pituitaries. If these are producing too much cortisol, it often means there’s a tumor on the gland, kicking it into overdrive. Another possible cause of Cushing’s-like symptoms is caused by the excessive use of medical steroids like prednisone. Cushing’s disease can be very subtle. The first indications are usually increased appetite or thirst, increased urination, muscle weakness, enlargement of the abdomen and, at times, hair growth problems. However, none of the above signs by themselves is a smoking gun. Making an actual diagnosis involves several steps. First comes bloodwork, to rule out other diseases with similar symptoms. Further blood diagnostics can then be performed to measure adrenal hormone production. Cushing’s disease often has no cure. Instead, your dog will probably be prescribed medication to keep the symptoms under control, and to keep the disease from spreading. Treatment, which will be life-long, is carefully monitored to ensure that the medication is not causing any unwanted side effects. Once a dog’s Cushing’s disease is under good control, only periodic bloodwork is typically needed to assess the effectiveness of the treatment. 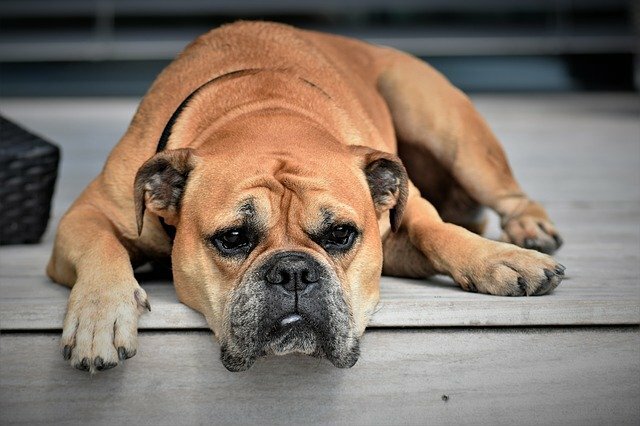 If your dog is beginning to show signs of the symptoms listed above, call CEDARCREST Animal Clinic at 540-943-7577 to schedule a test for Cushing’s disease immediately. Does my Pet Need Dietary Supplements and Are They Safe?